The Onedaycopy.com web server uses an extended log file format which captures: date and time of visit, referring address (location from which a visitor comes to the Site), type of Internet browser, and visitor's IP address. (Each computer that connects to the Internet is assigned a unique number, an IP address, for identification purposes). The log file does not capture a visitor's email address. Certain areas of the Site ask for personal information (such as your name, address, email address and telephone number) and business information (such as business name, address and telephone number). Onedaycopy.com only collects personal and business information that you voluntarily provide to us, such as when you make a purchase or request a quote. You have the ability to access and change the personal and business information which you have provided to Onedaycopy.com by use of the appropriate features on the Site. The Site is not intended for use by children. Onedaycopy.com will not knowingly collect any personal information from visitors to the Site who are under the age of 13. The information collected on the Site is used to process requests, to fulfill orders, for customer service, to market and improve Onedaycopy.com products and services, to customize your experience on the Site, and to contact you with updates to the Site and other information. Onedaycopy.com may also use your information to provide you with information we believe may be of interest to you. If you do not wish to receive marketing information, email us at info@Onedaycopy.com. Email messages will also provide you with an opportunity to opt-out of receiving this information. Please note, changes to your preference may not be effective immediately. Our policy is to not give, sell or otherwise distribute the information collected through this Site to third parties outside of Digital Room, Inc. and its subsidiaries (unless you allow us to or required by law); provided, however, in some cases we may use suppliers to assist us in collecting, using or otherwise processing for our benefit the information obtained through this site. For example, Onedaycopy.com uses an outside shipping company to ship orders, and a credit card processing company to bill users for goods and services. Our practice is to require our suppliers and vendors to conduct themselves in a manner consistent with this policy and our requirements. If Onedaycopy.com is sold to or merges with another company, or if we declare bankruptcy, some or all of the information collected from you may be transferred to a third party as a result of the transfer of assets. Onedaycopy.com may also disclose your information when we determines it is necessary to comply with applicable laws or to protect our interests and safety and those of other visitors to the Site. If necessary, Onedaycopy.com obtains consumer information from third-party providers in order to improve the accuracy of our customer database and to increase our understanding of our customers or to identify potential customers. For example, we get updated addresses from the National Change of Address (NCOA) service to assist us in having the correct addresses for our customers. Onedaycopy.com has security measures in place to protect customer information. 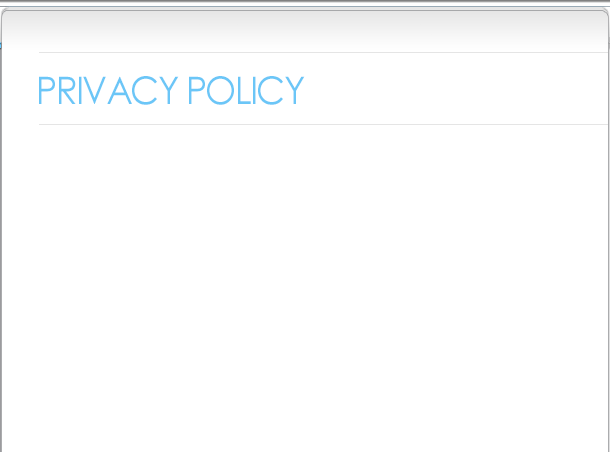 Onedaycopy.com takes reasonable precautions to protect against the loss, misuse and unauthorized access of your personal information under our control. Because the security of your personal information is a high priority, we have taken numerous steps to ensure that it is processed confidentially, accurately and securely. The Site uses encryption technology, such as Secure Socket Layer (SSL) technology, which is supported by the vast majority of modern Internet browsers. SSL technology represents the highest level of security available on the Internet, automatically encrypting information traveling over the Internet, verifying the identity of the transacting servers through certificates and digital signatures, and confirming that the integrity of the message content is maintained throughout its transmission. Unfortunately, no data transmission over the Internet can be guaranteed to be 100% secure. As a result, while Onedaycopy.com is committed to protecting your information, we cannot ensure or warrant the security of any information you transmit to us. How do I contact Onedaycopy.com?